Postponing Fall with free-light Solar Lights. Yes, starting in September, darkness comes sooner. Say phooey to fall this year! Whether you want to light up a pathway, illuminate a driveway, or brighten up an outdoor table, free-light solar lights get top marks for reliable and bright outdoor lighting that lasts all season long. 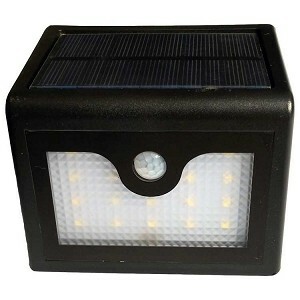 Appropriate for residential and business applications, free-light solar lights are designed to withstand all 4 seasons. Grab a sweater and head outdoors this weekend knowing free-light will continue to lead the way in solar lights - brilliantly. Brighton - Sleek and Stylish Wall Mounted Solar Entrance Light. Our newest free-light, Brighton, has many uses around your home, cottage, garage, and even the sides of your home or office. The motion sensor makes Brighton the right choice as an entrance light, parking spot light, stair light, wall light, fence light, dock light, main door light, or column light. Brighton projects light down to the ground. Brighton can be mounted as high as 8' off the ground. Browse the free-light solar light catalogue for other well-made and oh so reliable Wall Mount Solar Lights. 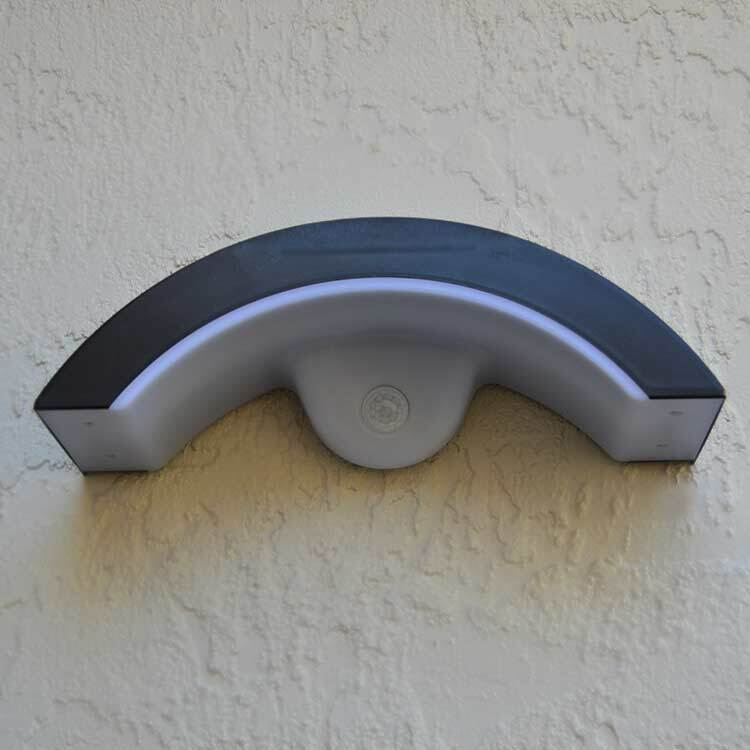 Vista Wall Mount Solar Light. Incredible value from your friends at free-light. The Vista stair/entrance solar light is motion activated and provides up to 16' of super bright light from an incredibly small motion solar light. Vista will automatically turn on at night at 20% brightness until someone walks by. Then it goes to full power for 20 seconds. Vista will stay on up to 10 hours on a full charge. Vista is a great choice for side entrances, back doors, deck stairs, cottage entrances, tool shed doors and more. You'll never have to BBQ in the dark again! 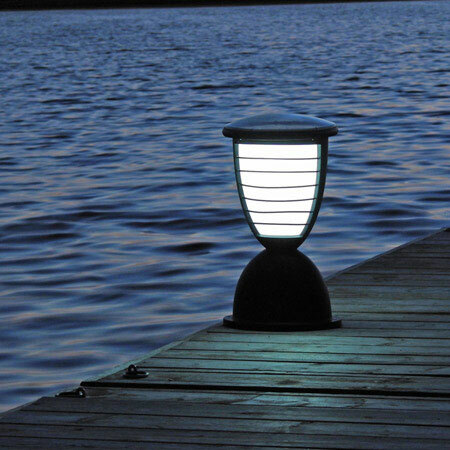 Check out all the Security Motion Solar Lights in our catalogue. Eclipse2 - Pathway (and more) Solar Light. Get your glam on. Versatile Eclipse2 can be used around your pool, deck, patio and even pillars. This is a stunningly beautiful outdoor solar light that will deliver natural white light where you want it. How about to highlight a gazebo or a dock? Eclipse2 will light up your life up to 60' in diameter. Now that's a lot of free-light! There are many more Pathway Solar Lights to choose from in our catalogue. Hundreds of uses are limited only by your imagination. We challenge you to test free-light against the competition. You'll see, there's no brighter, better solar light than free-light. Really. Magical Majorca Table Solar Lights. Azure Blue is often described as the colour of the sky on a clear day. Perfect. You'll be thanking your lucky stars when the sun goes down too! All of our Solar Table Lights are dressed to impress 24 hours a day. Created by glass artisans, the unique lustre glass coating is reflective and well, simply gorgeous. You can travel the world with 8 different colours inspired by Belize, Bermuda, Kauai, Majorca, Paris, Provence, Shamrock, and Vegas. Swoon over our collection of hand-crafted table lights and get yours today!